Auto glass is not made from the same material as glass cups or bottles. It’s actually made from layers of glass and plastic that are fused together. Never recycle automotive glass with glass bottles because they are handled differently. Cover the sharp edges of the windshield after you have taken it out of the car. Tape the edges and wrap the entire piece of glass in a blanket. Covering the sharp edges will make transporting it to the landfill safer and easier for you and the sanitation workers. A number of companies, including Safelite, JN Phillips and Guardian Automotive Products have launched windshield replacement programs. These programs reduce how much waste is generated by auto glass. Why Are Windshields so Difficult to Recycle? 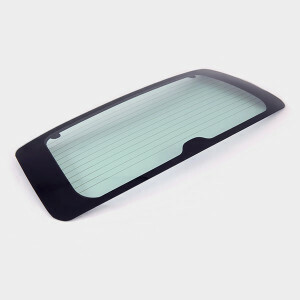 Windshields are designed to keep passengers safe in the event of a crash. They are made of glass with a plastic film fused to it, which allows the windshields to keep passengers inside of their vehicles during crashes. Separating these two layers isn’t easy, but efforts to recycle windshields have ramped up in recent years. The recycled glass from windshields are being used to produce a variety of products, including fish bowls, shower doors, floor tiles and even mosaic artwork.